Take Root’s Support Branch Program provides the first and only ongoing aftercare support program available to victims of child abduction when they are no longer missing. 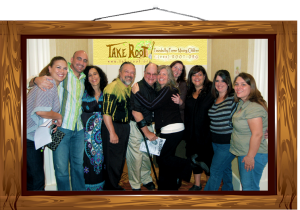 Participants (called “Rooters” and referred to as “members” of Take Root) gain healing from participating in a clinically moderated peer community of others with similar experiences, and from being empowered as issue advocates through Take Root. Our membership encompasses cases of non-family abduction and family abduction, including cases of children concealed by a parent in order to protect them from abuse. Were YOU abducted as a child? You may be eligible to join Take Root!